As Asian Pacific American Heritage Month winds down, don't forget to check out these three insightful Asian Pacific American short films. As Asian Pacific American Heritage Month winds down, don’t forget to check out Asian Pacific American Visionaries, a series of three insightful short films that will be streaming on HBO digital platforms (HBO GO, HBO NOW) until the end of May. The three shorts — “Monday”, “Wonderland”, and “Toenail” — offer artistic views on Asian-American issues like family turmoil, addiction, and the “bamboo ceiling”. They were the winners of HBO’s first Asian Pacific American Visionaries Short Film Competition, an initiative aimed at discovering and showcasing up-and-coming Asian-American filmmakers. In Monday, a young Asian-American drug dealer (played by Kevin David Lin) traverses the diverse landscape of Los Angeles, switching between different bubbles of race, class, and mindset. Though our protagonist’s hustling might be illegal, we discover there’s a more noble motivation to it. If you could sum up this short in one theme, it’s remembering to never judge a book by its cover. Audrey Hui and Joan Chen in “Wonderland” (Courtesy of HBO). 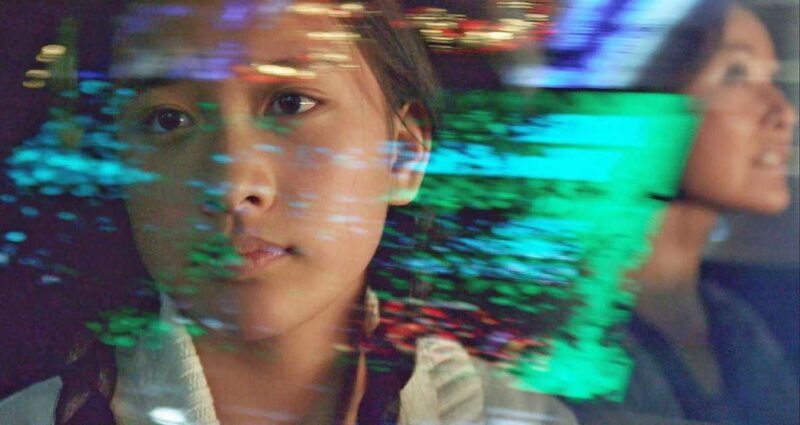 Wonderland explores the lonely and surreal world of a 12-year-old girl (played by Audrey Hui) whose mother (played by Joan Chen) is a gambling addict. Besides loss of innocence, the film offers a very human perspective on the worrying prevalence of gambling addiction amongst people of Asian descent, who Las Vegas casinos are becoming increasingly creative at hooking in. Justin Lee and Keith Nam in “Toenail” (Courtesy of HBO). “Toenail” centers around a career-obsessed yuppie (played by Justin Lee) having to care for his ailing father (played by Keith Nam) on the eve of a major promotion. The film not only grapples with a father-son generational/cultural divide, but also offers a glimpse at Asian-Americans’ status in the corporate world. With conversations about whitewashing and cultural appropriation becoming increasingly frequent in today’s discourse about American media, it’s intriguing to see a major network like HBO investing in Asian Pacific American outreach efforts. A second iteration of the Asian Pacific American Visionaries competition is set to launch within the next few months (Summer 2017), so we’ll soon see how HBO’s efforts might continue to bear fruit.